1. When did hieroglyphics end? 2. Why did hieroglyphics end? 3. What was happening in the rest of the world when hieroglyphics ended? If you're reading this post, you're definitely familiar with the ancient Egyptian writing system made up of mysterious symbols. The hieroglyphic alphabet lasted at least 2,500 years, which is quite impressive! 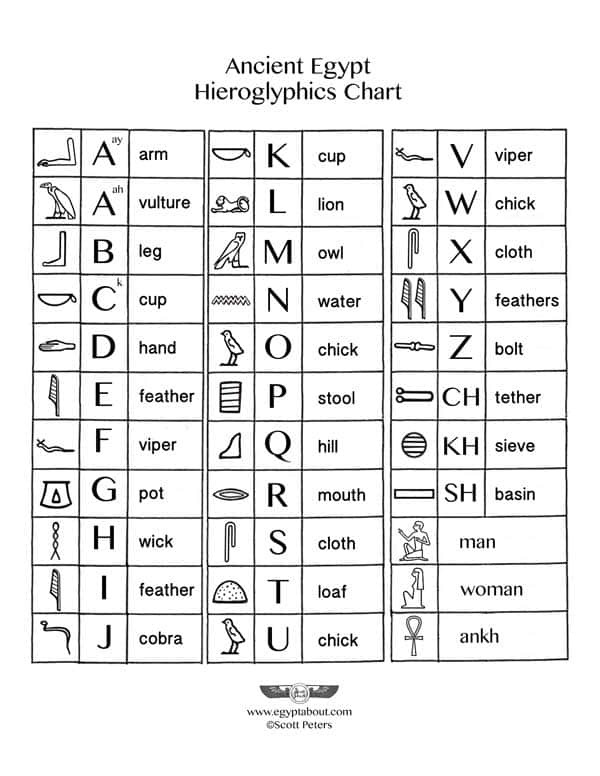 But if you've got questions such as when did people stop using hieroglyphics, you're not alone. The last known use of hieroglyphics was in 394 CE. The final inscription is known as the Graffito of Esmet-Akhom. 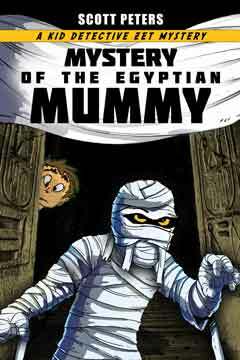 It was written in Philae, Egypt and can be seen in the temple of Isis in Southern Egypt. Pictured below is a photograph of what remains of the inscription on the right, along with a clearer drawing on the left. 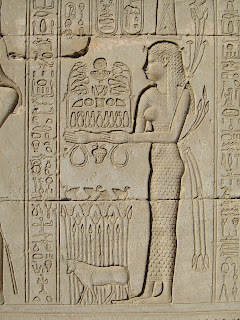 The hieroglyphics are in the upper right corner. Before Merul son of Horus, by the hand(?) of (?) Esmet-Akhom(?) son of Esmet, second prophet of Isis, for ever and ever. Words spoken by Merul, lord of Abaton, great god. 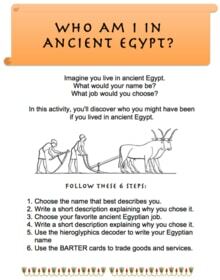 Developed during Egypt’s Early Dynastic Period (2920 BC-2575 BC) hieroglyphics remained pretty much the same for around 2500 years. 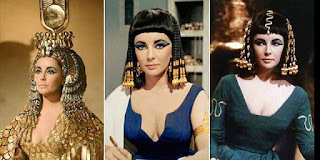 The end began when the Ptolemy family took over Egypt (that's Cleopatra's family). 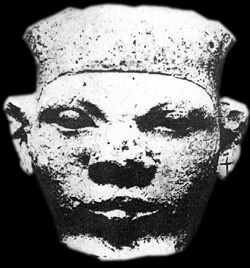 First off, the family was not actually Egyptian, they were from Macedonian Greece and had conquered Egypt. Perhaps that's why they had no qualms about altering the age-old writing system. Priests added all sorts of new glyphs or symbols in order to make the writing more mysterious. This way, they could add secret codes to the writing that only certain people could understand. 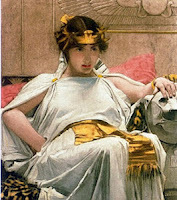 The final straw, however, came when Cleopatra lost to Rome in the battle of Actium in 30BC. 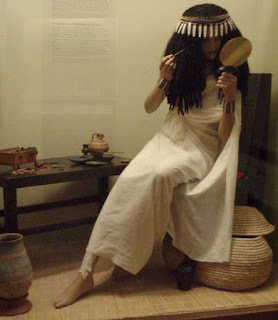 She was Egypt's last pharaoh and Egypt became a mere province of Rome. The use of hieroglyphics struggled on for several centuries, but it dwindled away to be replaced by the Roman alphabet. Eventually, it fell into complete disuse and became a total mystery to humans. 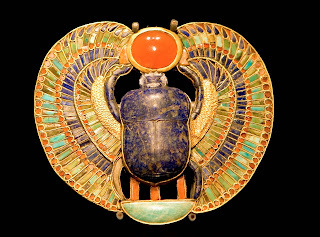 Egyptian archaeologists who came across the symbols in recent times originally believed they were just pictures. Somehow, humans had lost a 2500-year-old written language! It was only when archaeologists found an object called the Rosetta stone that they realized the symbols represented words. In Rome, Emperor Theodosius I declares Christianity to be the official religion. The library of Alexandria is burned and all books are destroyed. The Olympic games are abolished after a run of around a thousand years. The last ruler of the Chinese Qin Dynasty, Fu Chong, is killed. The Visigoths renounce Roman leaders and attack the Roman Empire and Greece. Korean King Gwanggaeto the Great of Goguryeo ascends to the throne. So there you have it! 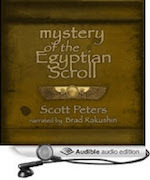 Answers to 3 burning questions about ancient Egyptian hieroglyphics. 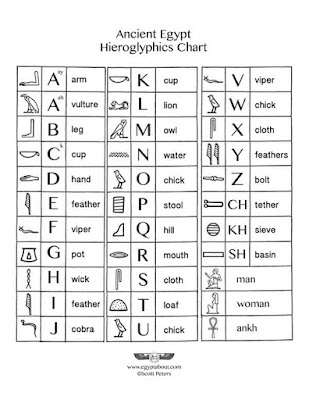 If you're interested learning more about this fascinating language, check out our hieroglyphic chart page. 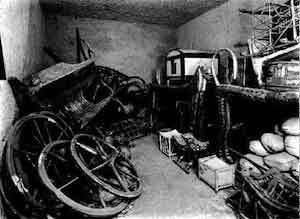 If you want to get some hieroglyphic translations, check out this post about the old hieroglyphic dictionary created by Sir Wallace Budge. It's seriously amazing and the dictionary is freely available online.